Pelican Residences fully furnished apartments are the perfect answer for business executives, relocating employees, and project teams needing temporary housing. We aim to provide a home like experience to every business traveler that we host. 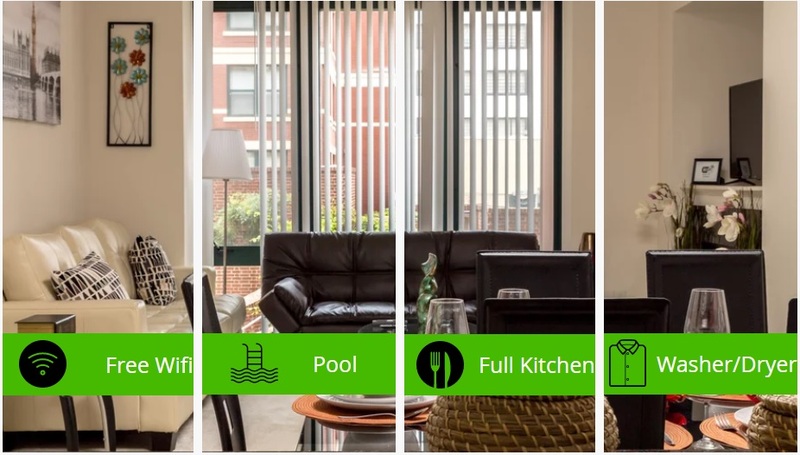 We have a large inventory of furnished apartments in different locations like Los Angeles, Baltimore, Washington DC, Atlanta, Nashville, Arlington, Philadelphia and Charlotte. Pelican is a name many companies, such as Microsoft , Thyseen Krupp , Sony , EDC Marine , Procter & Gamble , and Deloitte have trusted for years to arrange corporate housing and relocation packages for their employees. All of our apartments are located at the center of the city mostly near business center and entertainment venues with adequate connectivity. Pelican Residences meet rigorous hospitality standards, ensuring you have a seamless and comfortable stay. "Welcome Home at Pelican Residences"